« Transporting Railroad Crews – A Fun Job! I Am NOT a "Foamer", but …. Good evening. So far the new railroad crew van driving job is still going very well. I’ve picked up a lot of terminology, learned a lot about the day-to-day operations of a railroad, and made some decent money. It’s been a fun endeavor thus far. What’s not to like about driving a Ford van at work and a Chevy van at home? It’s the best of both worlds. The train crews keep it fun, too. 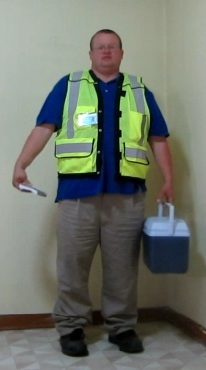 In conversing with the full time railroad folks, one gentleman asked if I was a “foamer”. That threw me into a quandary. I envisioned foam on a beer and various other inanimate, foamy type things but could not for the life of me figure out what a foamer was. 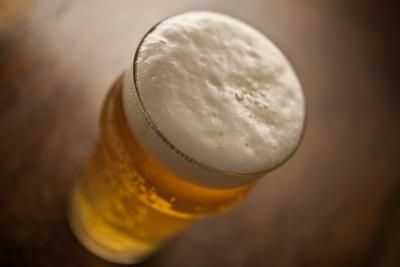 My favorite kind of foam! In these circles, a “foamer” is a railroad aficionado who is fascinated with trains and railroad operations. Some say the word came from “foaming at the mouth” over trains. I read that the term originated along the “Feather River [train] route” which runs from Oakland, CA to Salt Lake City, Utah. It is one of the most scenic train routes in the country. The “foam” came from the logging industry in the Feather River region. Pollutants from logging operations and related industry entered the Feather River and built up into foamy areas in the river’s eddy currents. Railroad buffs would wade out into the foamy river to take photographs, hence the nickname “foamers.” Now, railroad nuts just about anywhere are called “foamers”. Vans make me foam at the mouth! Unfortunately, “foamer” is not the most complimentary title. At work I let the train conductor riding with me know that I’m not a foamer although if I see a conversion van or RV, I drool at the mouth and think about camping. He said “Ain’t nuttin’ wrong with that.” While he was outside setting the train’s brakes, I changed the ringtone on the cell phone back from “I’ve Been Workin’ On the Railroad” to part of the song “Chevy Van” just to keep up appearances. And oh, how I long to be camping right now! For the time being, there is plenty of overtime available and it’s a real blessing to have money coming in. It is tiring though. One might think driving railroad crews is easy work – and it is – but the hours are long, shift times vary from day to day, and the environment is very dusty. You earn your money… But it is a blast, too! It is difficult to get a day off right now as a newbie. As the old saying goes, “You have to make hay while the sun shines!” In the meantime, plans are being made for the next van trip. Maybe a train museum would be a fun destination. (though I am not a “foamer”). We’ll see where the next week leads. At least this gig is a good fit for a middle-aged bachelor looking for a little adventure now and then! 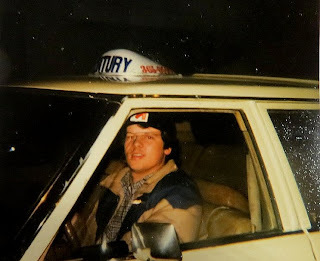 My first driving job… 1984. How things have come full circle! Despite the crazy work schedule (they called me at 3:46 this morning!) life couldn’t be happier. There isn’t a day that goes by that I don’t say a little prayer and thank God for all the blessings including the van driving job and the van dwelling. So many times the last few years I’ve wanted to give up and not work any more. This job was an answer to prayer and it feels good to know this almost old fart still is useful to someone! As always, thanks for visiting. Hopefully the next post will find me camping near some train tracks and cooking up something special. We’ll just see where life goes. 3 Responses to I Am NOT a "Foamer", but …. So glad that you are positive and happy, best wishes. Happy to hear you are enjoying the RR gig. Feeling positive about things really contributes to a satisfying life. Hope you get a chance to van camp soon. I would love to find my van. Nope still haven’t found one.